Low cabin bed with 2 deep storage drawers and solid wood posts. 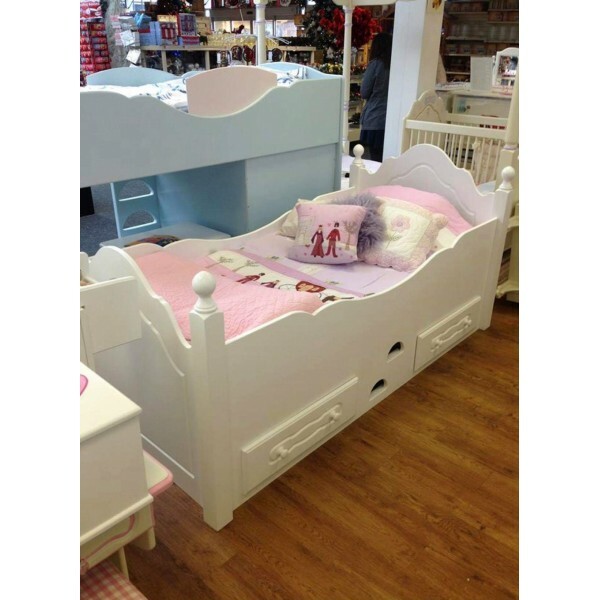 Bed shown can be made to take a standard or small single mattress (not included). Available in white or off-white, can also have added trim colour - please call for details of further charge. 78" long x 39" deep.